Traditionally sherry did not bear any indication of ageing, because establishing an age to the wine matured in such a peculiar system as solera has always proven very difficult. In the past producers who wanted to set their wine apart from the rest started using terms as Viejo, Muy Viejo or Viejissimo, but these were very vague and legally unregulated, thus causing much confusion, particularly in the 1990s. In 2000 the Consejo Regulador finally took the matter in its hands and introduced three new categories: VORS, VOS and age indicated sherry. VORS stands for Vinum Optimum Rare Signatum (or Very Old Rare Sherry) and indicates wine with an average age over 30 years, while VOS stands Vinum Optimum Signatum (or Very Old Sherry), with an average age over 20 years. To be classified in one of this two categories the producer must submit a sample to the Consejo Regulador, which will then proceed with chemical tests at the Estación de Viticultura y Enología de Jerez, determining parameters like ester content, ash or dry extract and Carbon 14. The sample must also undergo an organoleptic examination by a Tasting Committee composed by independent specialist of accredited expertise and competence, who will certify not only a specific age, but also verify wine quality. 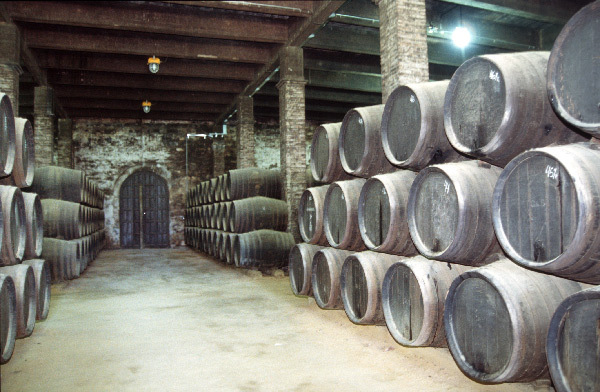 Finally, certifying the age of a batch of sherry will also affect the quota of saleable wine of the solera whence it comes: for every liter of wine “over 30 years old” (VORS) sold there must be 30 liters of sherry stored in the corresponding crianza ageing system, while analogously for every liter of wine sold as “20 years old wine” (VOS), 20 liters must be left in the solera. This should contribute to guarantee the minimum age of the product. It should also be noted that in the case of VORS and VOS the Consejo Regulador certifies just the single batch submitted by the producer, not the brand nor the solera whence the batch comes from. For a new lot of wine the process will need to be entirely repeated. Age indicated sherries include two categories: 12 years old and 15 years old. In this case the rules are slightly more relaxed: stock movements are verified by bodegas documentation and written tracks, organoleptic tests and analytical exams are carried out (though Carbon-14 analysis is unreliable under 20 years), but the certification is awarded to the whole solera, not just a batch, thus leaving to the producer more flexibility on how much wine he can pull out. Note however that, like with VORS and VOS, a corresponding quantity of wine must be left in the ageing system: at least 15 liters for every liter bottled in the case of 15 years old sherry and 12 liters for every liter bottled in the case of 12 years old one. The test by the Consejo Regulador must be repeated every year at the beginning of each campaign. Differently from the two age certified sherry categories, there are no special seals, just the permission to write the age on the wine label. I believe its 30 times the sherry left in the solera and not 20-30 litres. The idea being that they have 20-30 times the sherry in addition to the amount they are planning to commercialise. Nimmi, I think that we are saying the same thing. I wrote that for each litre of sherry bottled as VORS you leave 30 liters in the solera (20 in the case of VOS). This means that you are leaving 20-30 times the sherry you are going to sell.